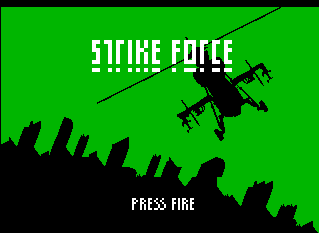 In strikeforce, you pilot a attack chopper and you have to manouver around the screen. 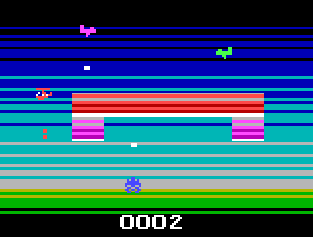 Your goal is to effectively destroy the tanks below you, whilst being attack from the top of the screen by 2 fighter jets as well as the tank below you. After destroying a number of tanks you will proceed to the next level / layout. Ofcourse difficulty will increase in each level as well. 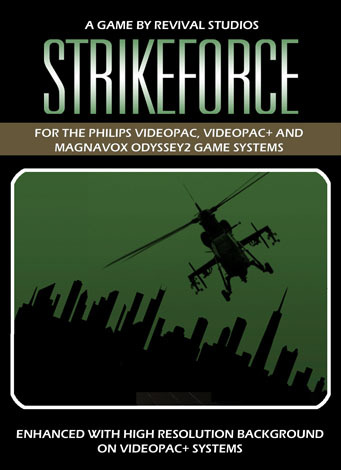 This game is available on cartridge with a limited release of 80 copies. The game package contains of a Cartridge, manual and index card only. The plastic case can be offered for an additional fee.